Summit-Antoinette Pollicino, 94, of Steve’s Path, died Monday, November 19, 2018 at her home. She was born November 18, 1924 in Brooklyn to Mary Banico. After marrying Nicholas Pollicino on April 29, 1947, they lived most of their married life in Hicksville. In 2008, they moved to Summit and then became a communicant of St. Vincent de Paul Church in Cobleskill. 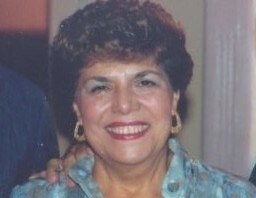 Antoinette was a wonderful cook and found the greatest pleasure in spending time with her family. A devoted wife and mother, she was predeceased by her son, Steve on 9/11 and her husband, Nicholas, on February 5, 2015. Survivors include her son, Douglas Pollicino of Summit; two grandchildren: Steven and Celeste Pollicino and two great-grandchildren: Rocco and Nicholas Pollicino. A Mass of Christian Burial will be celebrated at 9:30 AM on Monday, November 26, 2018 at St. Vincent de Paul Church, 138 Washington Ave., Cobleskill with Rev. Jeffrey L’Arche as celebrant. A committal service will follow at 12:30PM at Gerald BH Solomon Saratoga National Cemetery in Schuylerville. Memorial contributions may be made to St. Vincent de Paul Church, 138 Washington Ave., Cobleskill, NY 12043.